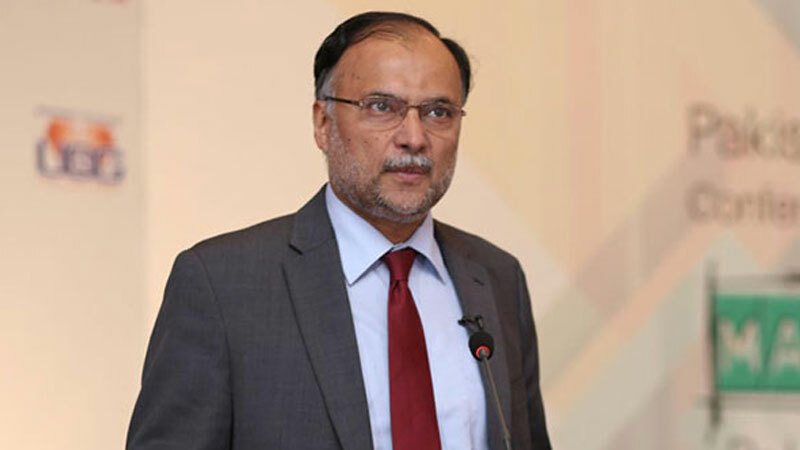 NAROWAL – Interior Minister Ahsan Iqbal Sunday said that the government will complete its term and power will be shifted peacefully. Talking to media persons in Narowal on Sunday, the Minister said that completing of term by the present government is proof of strong basis of Constitutional and democratic values in the country. He said that Pakistan is moving on democratic and Constitutional path and now codes of power-shift have become stronger. Ahsan Iqbal termed the development of infrastructure from Gilgit to Gwadar an important milestone in the history. He said that no objection can be raised on the projects launched by the incumbent government during last four years. The Interior Minister said that due to its strong policies, the government was able to overcome the energy shortage from the country. He said that for political and democratic freedom on social media, the government with all other stakeholders will devise a policy. Ahsan Iqbal said that the opponents are now worried that in the next general elections they will be left empty-handed. He said that Imran Khan has failed to appoint head of Accountability Commission of Khyber Pakhtunkhwa and is using corruption as a political weapon. He said that those raising slogans against taking loans and metro bus projects are now following it by themselves.